Maryland Solar Solutions, Inc. will do a site assessment and provide you with a detailed proposal, including financial incentives, ROI calculations and how your investment impacts the environment with no cost or obligation to you. 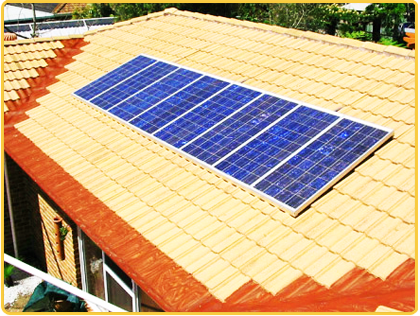 We provide professional design, installation and maintenance of our solar electric array systems for both residential and commercial applications. Maryland Solar Solutions, Inc. will handle all of your paperwork for your MD Rebate, local incentives (if available), SREC registration and assist you in finding the right financing options for your investment. We will implement your design and install your system in the most timely and cost effective way possible. We will maintain contact with you after the installation and assist in your certification as a Solar Renewable Energy Generator as well as the sale of your solar renewable energy credits (SREC's). Maryland Solar Solutions, Inc. will take care of the registration for you to be able to sell your SRECs and assist you in how to sell them. Maryland Solar Solutions, Inc. makes your solar investment experience an easy and affordable one by offering complete turnkey solutions for your home or business. Our professional team is trained and qualified to provide the following services-and unlike other companies-our specialty is solar electric (Photovoltaic) systems. We are passionate about helping in the transition to clean energy and value our partnerships with customers like you. Ask about our Free in-home consultations!